Why would you need a private detective agency just to serve court papers? In fact private investigators are among a number of agencies that are able to provide this service. However, being skilled as they are in finding people who may not want to be found does give them a distinct advantage. In order to ensure that a case may proceed, it is essential that every person upon whom legal documents need to be served does indeed receive them. Process servers are the people entrusted with the task of ensuring, not only that the documents do reach their intended recipients, but that the whole procedure is carried out in compliance with the rules governing the service of such documents. That is by no means as simple as you might think! That’s why your solicitor or the court, is likely to call in someone like EJM Investigations to carry out the task. In England, Part 6 of the Rules of Procedure covers process serving and that runs to ten sub-paragraphs. Yes, you did read that correctly, 10! Without going into too much detail let’s have a look at some of the more basic rules, starting with the accepted methods by which process can be served. The ideal method is personal service andthe court may specify that a particular document must be served personally.Personal service means that the document is handed to the person named and left with him or her. In the case of a company, it must be left with a person holding a senior position in the company or corporation. Where action is being taken against a partnership, the papers may be left with a partner or with a person who has control of the management of the business on behalf of the partners at the firm’s principal place of business. First class post is accepted as good service unless specified otherwise by the court, or any service which delivers on the next business day. Process may be left at the office of a defendant’s solicitor or may be transmitted to the defendant or their appointed solicitor by fax or other electronic means. Any method authorised by the court constitutes good service. In most cases it will be the court which serves the process papers and it will be the court that engages the process servers. This may be carried out by the court bailiffs; otherwise the task will often be delegated to a private detective agency. That’s a very brief look at some of the rules concerning process serving in England. They may not be quite the same in Scotland where much of the law differs from English law. 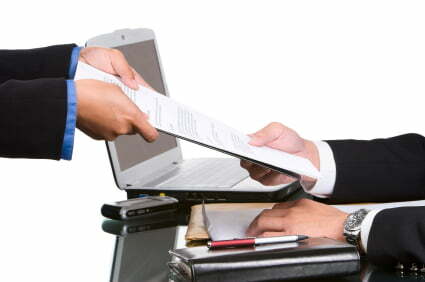 Process servers need to be familiar with all the others too.